Bible verse memory can be fun! Especially when you use Bible memory verse games that kids love. They’re an essential part of teaching children about God. 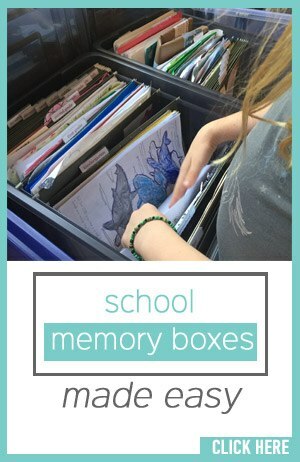 I’m sharing my favorite Bible verse memory games plus other memory verse activities. (hint: You can even use these Bible memory games to help your kids memorize important scriptures, such as Bible verses about love)! We want our kids to know how to understand Bible verses and apply them to their lives and not just do Bible memory, right? That’s why this post also shares a simple way to teach your kids to how to study the Bible–using a simple, step-by-step Bible study method! Try these engaging Bible memory verse games, songs and art ideas with your kids, and discover how quickly (and joyfully) you can make scripture memorization a fun part of your regular family life. Word Wipe Out. Write your memory verse on a chalkboard or dry erase board. Say it together. Erase one word. Say it again. Keep going until the whole verse is erased. Verse Shuffle. Write the verse or passage on index cards – one word or phrase per card. Shuffle the cards. Take turns putting the verse together in order. Word Scramble. Print the verse as a word scramble on a piece of paper. For example: heT odrL si ym hpeeSdrh (“The Lord is my Shepherd.” Psalm 23). See who can be the first to unscramble it. Gotcha! Quote a verse incorrectly to your kids, omitting or changing a key word. Ask them to shout, “Gotcha!” when they catch the mistake. Then quote the verse accurately together. Toss Across. Toss or roll a ball to one child. Have him say the first word of the verse before tossing or rolling the ball to someone else, who then says the next word, and so on. Continue until you complete the verse. If the ball is dropped, start over again. Time how long it takes to finish the verse; and try to beat the previous time. Verse Puzzle. Write the verse or passage on heavy paper or cardboard, and then cut it into puzzle pieces for your child to assemble. SMS Scripture Codes. Write the Bible memory verse on a piece of paper using only the numbers that correspond to the letters on a phone keypad. For example: “367 93 9255 29 32484, 668 29 74448” = “For we walk by faith, not by sight” (2 Corinthians 5:7). If a child has a mobile phone, let them use it for this game to help figure out the code. See who can be the first to decode the verse and write it correctly. Clap-a-Word. Display the verse on a piece of paper. Say the verse together a few times. Then have one volunteer leave the room (or turn his back). Have another volunteer point to one word from the verse so the others can see it. Then the first volunteer returns to the room, but is not allowed to see the verse displayed. The group says the verse, but claps on the selected word without saying it. The first volunteer says which word was skipped. If he gets stumped, let him look at the verse display. Take turns clapping on various words. Scripture Skits and Charades. Create skits that show how the Word might be applied to a real life situation. Or play a good ‘ole game of Charades with your memory verses. Music is an exuberant and effortless way to turn Bible memory into a game for kids! 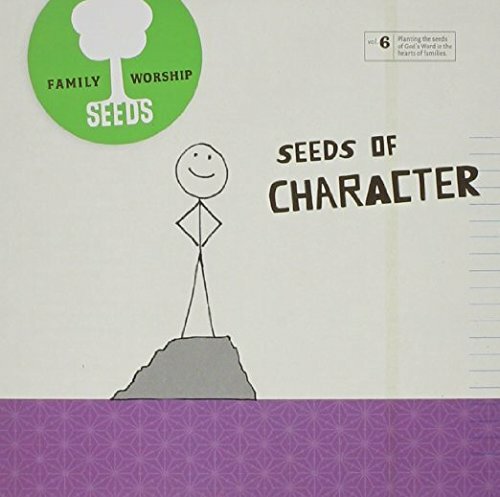 Check out these terrific word-for-word Scripture CDs. They’ll put a skip in your step, a smile on your face (and God’s Word in your heart). 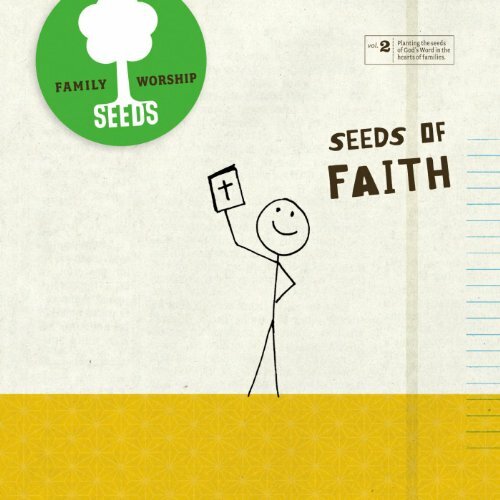 First, I love how Seeds of Worship makes bible memory fun! 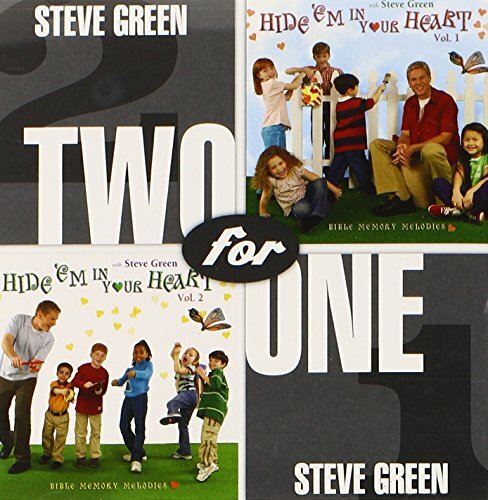 Steve Green puts scripture to music and makes it easy for kids to memorize classic Bible verses. You can even purchase both volumes of these classic CDs in one album! Sing The 10 Commandments (paraphrased) to “Do-Re-Mi” from the Sound of Music. One, don’t worship other gods. Two, no idols are allowed. Three, don’t speak God’s name in jest. Four, the Sabbath is for rest. Five, respect your mom and dad. Six, don’t ever, ever kill. Seven, be faithful to your spouse. And don’t steal, don’t lie, don’t want your neighbor’s things. Bible Verse Poster. Choose a memory verse or passage as a theme verse for your family. Together, write it on a piece of poster board. Decorate the poster with pictures or drawings for linking and living the passage. Display the poster where it can be seen often, like a common hallway. Create a new poster each year or season. Bible Verse Collage. Using magazines, catalogs, and junk mail, help your kids cut out the words of a verse along with pictures that link the verse for memory. (For hard-to-find words, cut out individual letters.) Assemble the verse, and then glue the words and pictures to a sheet of construction or scrapbooking paper. Display the verse art on an easel or frame. God’s Promises Pillowcase. Purchase an inexpensive cotton pillowcase. Use permanent markers or fabric paints to personalize it with reassuring and comforting verses. Tie-dye it or sew soft ribbon or lace around the edges to make it more decorative. Consider verses such as: “He who keeps you will not slumber” (Psalm 121:2) or “In peace I will lie down and sleep, for you alone, O Lord, will keep me safe” (Psalm 4:8 NLT). Scripture Placemats. Make Scripture memory placemats out of 11” x 14” construction paper or poster board – one for each family member and a few extra for guests. Write a different verse on each placemat, decorate them with correlating pictures and drawings, and laminate. Take turns saying the “placemat verses” before or after dinner. Create memory links with food-themed verses like, “But the fruit of the Spirit is…” (Galatians 5:22-23) and “Jesus said to them, ‘I am the bread of life” (John 6:35). Treasure Chest of Truth. Purchase an inexpensive wooden box or index card box to hold your memory verse cards. Spray or brush paint the outside antique brown. Hot glue plastic coin pieces on the top. With marker or paint pen, write Psalm 119:72 on the side, “The law of your mouth is better to me than thousands of gold and silver pieces.” Store your memory verse cards inside. Keep the treasure chest on the kitchen table or on your child’s nightstand for handy review. Sidewalk Art. Give your kids some colorful sidewalk chalk and let them create delightful verse art on your driveway or sidewalk. Check out more Bible memory verse techniques in the Well Versed Family. Looking for Bible Memory Verse Lists? Now that you have tons of ways to teach your kids how to memorize Bible verses, how about some ideas for which verses kids can memorize? It’s great for kids to learn scripture memory verses (and to play Bible memory verse games), but if they don’t know how to really comprehend and apply God’s word to their lives, then what’s the point? That’s why I wanted to introduce you to the 5Rs Bible Study Method™: Read, Rewrite, Restate, Relate and Respond. The 5Rs is not only a wonderful way to make Bible study lessons easy for your kids, but to teach them how to truly understand Bible verses and to grow closer to God. This simple method allows anyone to read any verse, understand it fully, relate it to their lives and then create a simple plan to implement that truth into today’s life circumstances. But let’s face it. We’re busy moms, and we need SIMPLE solutions to help our kids learn biblical truth. 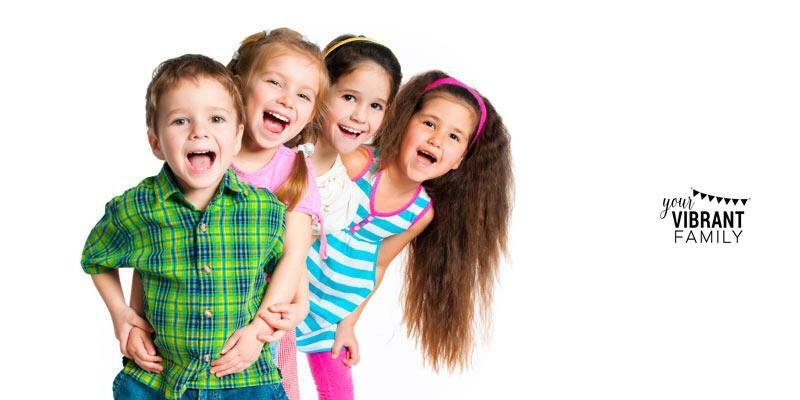 So let me tell you about the EASIEST way to teach kids how to study Bible verses using the 5Rs Bible Study™ Method! Let me introduce you to the Be Loved 5Rs Bible Study™ Journal and the Joy Full 5Rs Bible Study™ Journal! These Bible study journals are a totally plug-and-play solution for teaching kids about God’s love and God’s joy… and for helping them start a life-changing habit of reading and understanding God’s word! There’s truly nothing else like them! 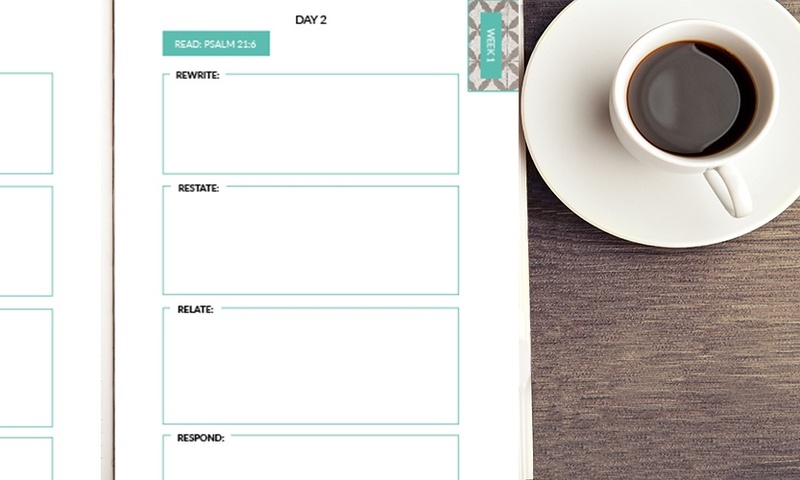 The 5Rs Bible Study Journals are full-color journals with a scripture verse (and the 5Rs Bible Study Method) outlined for each day, making daily Bible study for kids extremely simple and plug-and-play. 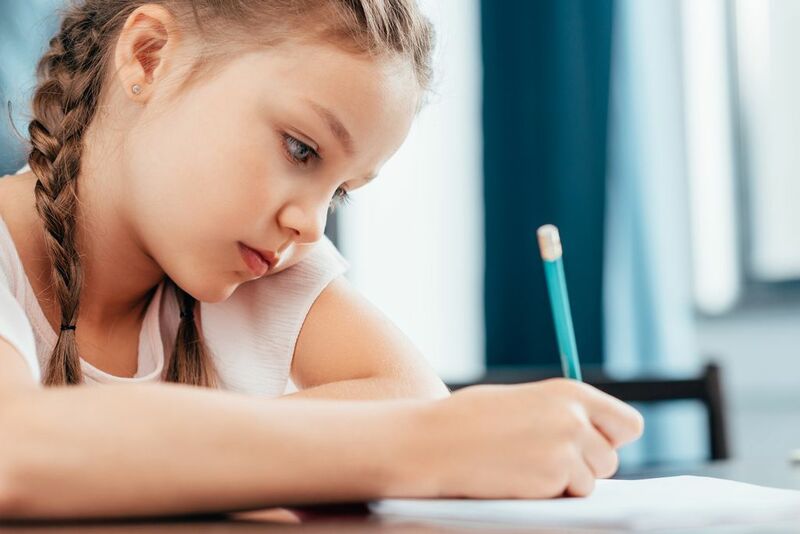 Plus at the end of the week in the “Reflect” section you’ll find additional discussion questions and journaling prompts so that, together, you and your kids can dig even deeper into what they’ve learned in that week’s 5Rs study. Can you see how these journals make it so easy to teach kids how to study Bible verses and to learn how to really apply them to their lives? You have to check them out for yourself and get a copy! Enjoy teaching your kids these Bible memory verse games… and how to really understand and apply those memorized Bible verses with the 5Rs Bible Study Method and Journals! Learn more about these awesome Bible study resources here. Caroline is a soul-foodie, passionate about the organic truths of Scripture. She is a popular speaker and author of The Well-Versed Family: Raising Kids of Faith through Scripture Memory. She blogs at WellVersedLiving.com where she dishes up platefuls of truth on platters of authenticity and compassion. Caroline is a CASA (Court Appointed Special Advocate) for abused and neglected children. She loves cooking, laughing, and hiking with her family. Caroline and her hubby have 2 grown daughters and a son-in-law, and 2 labradorable rescue pups. She lives in Plano, Texas.